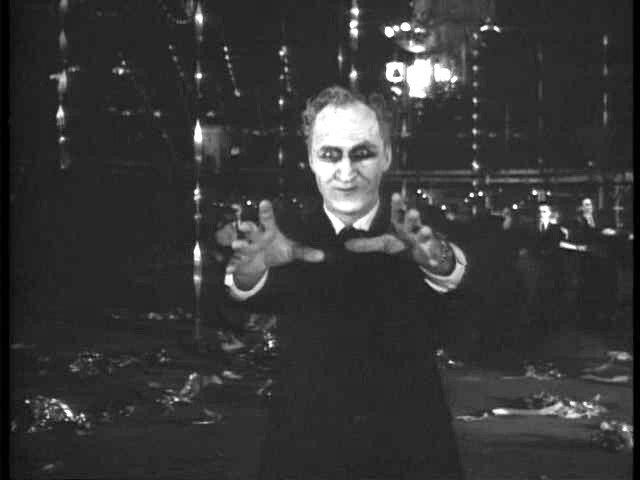 Movie Ramble: Carnival of Souls. 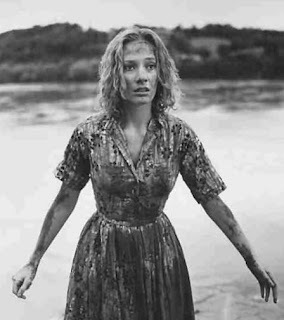 3 hours after disappearing in the river Mary reappears..
Three friends are out for drive when they are challenged to a drag race by a couple of local boys. During the hotly disputed contest their car is forced of the bridge, plunging into a river. As the car sinks into the sandy riverbed all three girls appear to have drowned. But strangely three hours later one of them, Mary Henry (Candace Hilligoss) resurfaces. Mary then accepts a job as a church organist in Utah, renting a room in a boarding house. Also staying at the property is John Linden (Sidney Berger) a lecherous womaniser. But he turns out to be the least of Mary’s problems; she is being stalked by a strange spectre type figure (played by the director Herk Harvey). Has this inexplicable happening anything to do with the deserted pavilion sitting all by itself on the shores of the Great Salt Lake? ...only to be stalked by a strange spectre!